Your frozen concoction maker is the perfect tool to get any party going. 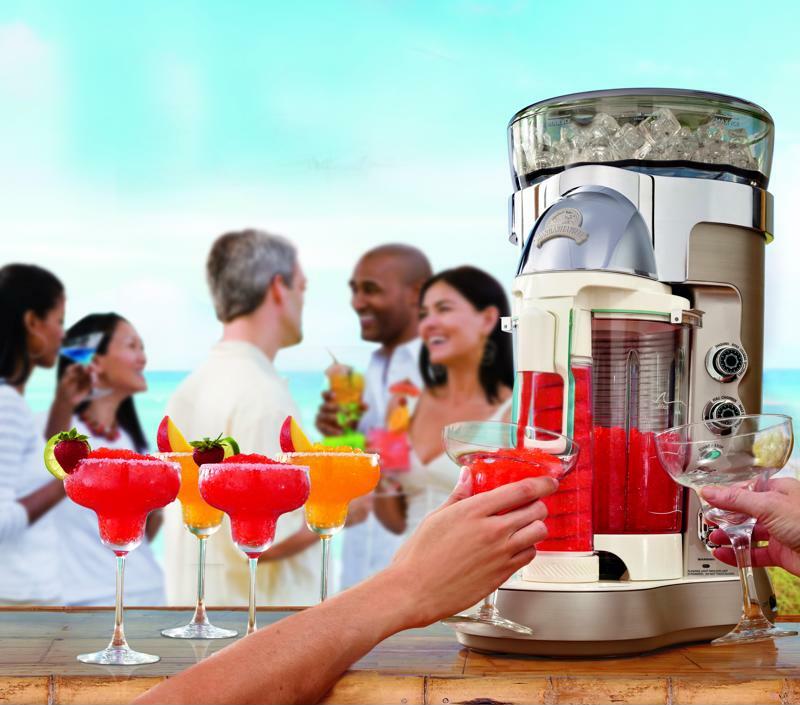 It'll shave ice and blend your ingredients into the perfect margarita or frozen cocktail every single time. The only downside to your party is at the end of the night when all of your guests have left and the bottles are all empty. Luckily, your frozen concoction maker is designed to be simple to clean as well. While you tidy up after your party, you won't have to worry about spending too much time getting your margarita maker clean. Your ice reservoir is one of the most important parts of your machine. It holds and shaves the ice into the optimal size for a frozen cocktail. However, these sharp blades that give you this perfectly shaved ice also make it unpleasant to deal with. Luckily, you don't have to get anywhere near the blades. In order to clean out the ice compartment, all you need to do is hold down the shave ice button or switch as you would when making a drink. It will clean out the reservoir and empty all of the shavings into the blender jar for easy removal. Clean your frozen concoction maker well after use. The blender jar or main container is the part that needs to be cleaned the most. It can become sticky if left alone for too long. The simplest way to clean the jar is to add warm, soapy water. All you need to do is pour soapy water into the container then operate the BLEND function. This lets the machine clean itself. Then, just pour out the soapy water and add warm water to rinse thoroughly. This works regardless of the model type. If you need to thoroughly scrub down every part of your frozen concoction maker before the next party, you can do that as well. Rather than clean the machine as is, all you need to do is carefully take the ice reservoir and container apart. Then you can wash each of these parts in warm soapy water and reassemble.